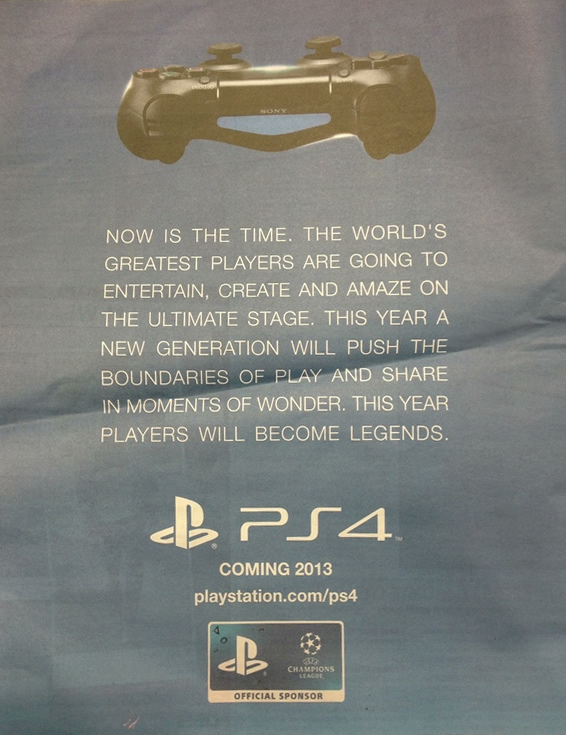 A full page advert in today’s Metro newspaper has confirmed that the PlayStation 4 will be releasing in the UK in 2013. The advert, promoting PlayStation as an official sponsor of the UEFA Champions League, can be found in the sports section of the newspaper. The text could refer to the “players” from football teams but you could also read this to mean “gamers”. The advert also states “PS4 Coming 2013″ at the bottom.